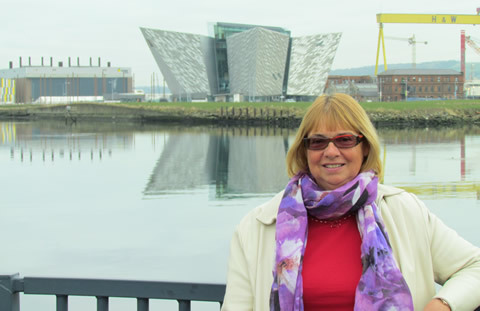 Welcome to the official website for Heather MacQuarrie, the Belfast-born, self-published writer of contemporary romantic and mystery fiction, pictured here against the famous Belfast backdrop of the Harland and Wolff shipbuilding cranes, the modern Titanic Centre, and the 'Paintshop', now revamped as Titanic Studios, home of the Northern Ireland film industry, where 'Game of Thrones' and other major films and television programmes are made. Heather, a former teacher, has swapped life in the inner-city classroom for the relative freedom of her own home, where she is enjoying the opportunity to channel her creativity in exciting new directions. Her first three novels, A Voice From The Past, In the Greater Scheme of Things and Blood is Thicker are standalones to an extent but are best read together as they make up a trilogy and form a family saga full of mystery and romance. 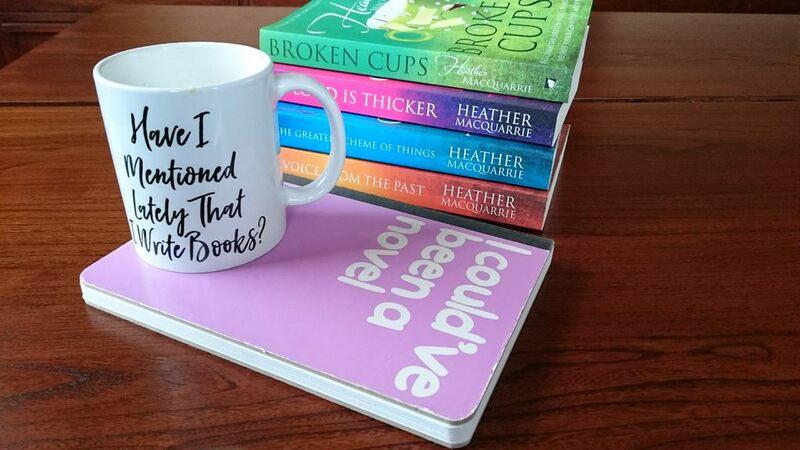 A fourth book, Broken Cups, marks the beginning of a new adventure, which ends on a mini-cliffhanger. The story continues in Double Cheque. All of Heather's books are published by Matador, the self-publishing wing of Troubador Publishing Ltd. and are available in both paperback and ebook format. We hope you enjoy exploring the site to find out more about Heather and her books.